My Jalapeno Cilantro Hummus recipe, which was a knock-off of Pita Jungle, was such a hit, that I thought what better way to celebrate summer with you all then to share my plain hummus recipe with you! If you made my previous hummus recipe, than you know the secret is to boil the garbanzo beans for 2-3 minutes before peeling their shell off. This helps to create the perfect smooth and creamy texture that you find in most Greek restaurants. Dip some baby carrot sticks or baked pita chips in this amazing dip for a beach friendly snack! 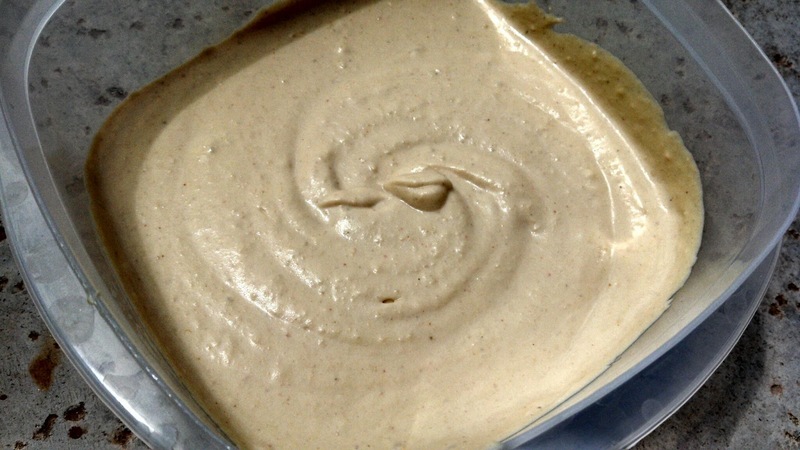 Add the tahini in a food processor and whip until smooth and creamy. Then add all remaining ingredients except for the garbanzo beans and reserved liquid. Blend until combined. Now add the garbanzo beans 1/3 cup at a time, blending in between each addition. Repeat until all beans have been added. Pour reserved garbanzo bean liquid as the food processor is going to get desired consistency. Reserve in the refrigerator. Serve cold. Tahini is a pure sesame paste, and 1 jar will last you a good while! I found mine at Sprouts Farmer's Market, but it is becoming easier and easier to find in local supermarkets.